2018 marks 25 years since the publication of Gilroy’s seminal work, The Black Atlantic. 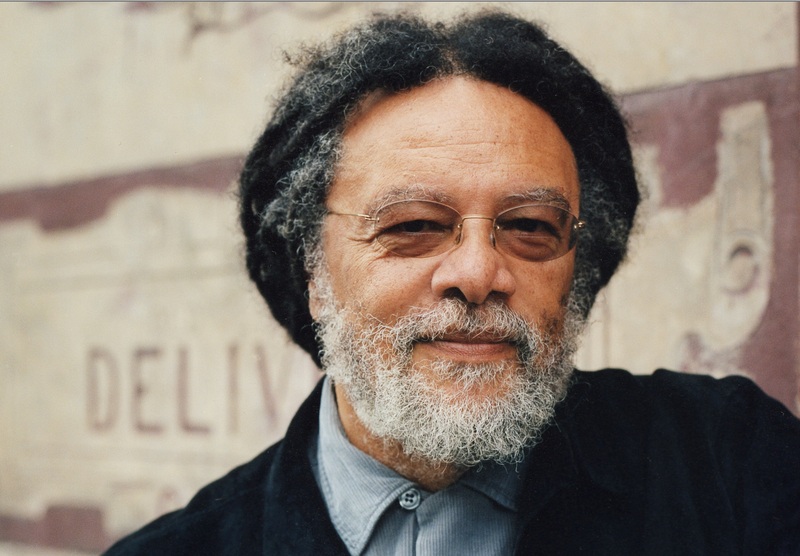 What appealed to me when I first encountered Paul Gilroy’s work from the 1980s and 1990s was his radical critique of essentialisms about “race,” ethnicity and nationalism, and his attempt to remodel the genealogies of black political thought in ways which took its intersections with Euro-American political thought into account. This year marks 25 years since the publication of Gilroy’s seminal work, The Black Atlantic: Modernity and Double Consciousness, for which he is best known, and the book in which he did much of this kind of work. It was not as if this had not been done before. A significant signpost here is provided by Gilroy’s many references to the work of the late C.L.R. James, Frederick Douglass, W. E. B. Du Bois and Eduard Glissant. The time of Gilroy’s penning The Black Atlantic was of course a time of significant optimism about the prospect of solidarities across and transcendent of historical boundaries of race, class and nation — it was after all written in the years after the fall of the Berlin Wall in 1989, and in the years of the dismantling of the formal legal and political edifice of Apartheid in South Africa after 1990. 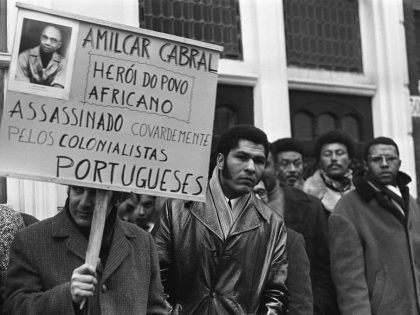 As a consequence, The Black Atlantic has been accused of an unbridled enthusiasm for and celebration of hybridity and creolization, globalization and its flows easily rendered instrumental for neoliberalism. Yet, I honestly cannot find much concrete evidence to support these claims in The Black Atlantic. There is simply in Gilroy’s The Black Atlantic too much of a sensitivity to the burdens of a past of racialized terrors in the name of white supremacism and its traces in the present for that to qualify as an assessment characterized by fidelity to Gilroy’s own text. Furthermore, Gilroy explicitly cautions against a certain intellectual “distaste for uncomfortable questions of class and power” and against “ignoring the undiminished power of racism itself and forsaking the mass of black people who continue to comprehend their lived particularity through what it does to them.” Much like Stuart Hall — Gilroy’s mentor and colleague and the first reader of The Black Atlantic — Gilroy turns his back at the “Little Englander” Marxist version of the New Left as represented by E. P. Thompson and its undeclared nationalism and enthusiasms for “socialism in one country,” which as we know all too well by now, left previous little intellectual space to think analytically in terms of anything other than class. Gilroy is clearly also opposed to deterministic Marxist notions of a progressive teleology, which often renders the experience of slavery and racialized terror incidental rather than central to black histories of subordination and oppression. It may be precisely this that has irked Gilroy’s deterministic Marxist readers well into the realms of misrepresentation. Gilroy also stands at an ambivalent distance to what became of cultural studies: in The Black Atlantic, he speaks of the discipline’s “conspicuous problems with ethnocentrism and nationalism” and calls for a “critical evaluation of the ways in which notions of ethnicity have been mobilized, often by default rather than design, as part of the distinctive hermeneutics of cultural studies or with the unthinking assumption that cultures always flow into patterns congruent with the borders of essentially homogeneous nation states.” In other words, much as Hall noted in his posthumously published “W.E.B. Du Bois Lectures,” let us not be so naive as to think that replacing historical notions concerning race with ethnicity or culture does away with the persistence of epistemological and ontological nationalism. “It is significant that prior to the consolidation of scientific racism in the 19th century, the term ‘race’ was used very much in the way that the world ‘culture’ is used today,” remarks Gilroy in the early pages of The Black Atlantic. This attempt to think the global and the local, the universal and the particular, the national and transnational at the same time, seems to me profoundly important. And all the more so in a context in which, as Pankaj Mishra rightly notes in a recent review of the important work of Ta-Nehisi Coates, there seems to be a widespread tendency, especially in the United States to think of histories of oppression and suffering of black peoples, and resistance to that oppression and suffering from black intellectuals and the black masses in parochial and US-centric terms. What stands out for Gilroy in the work of the black intellectual modernists he analyzes in The Black Atlantic, and most notably Du Bois and Wright, is of course the fact that they were in profound senses products of “the black Atlantic,” and of their deep engagement with Euro-American intellectual canons of their times, and concerned with thinking about the oppression and suffering of black peoples in global and universal terms. 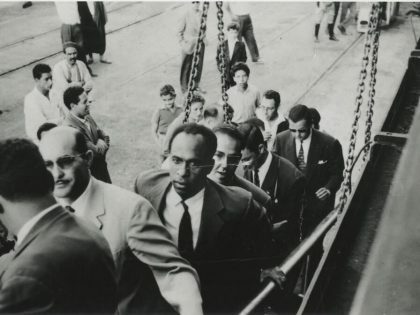 It is also clear that Gilroy’s drawing attention to the rich and ambivalent traditions of black Atlantic intellectual thought and experiences is a way of transcending myriad impasses created by reducing black agency past and present to defensive responses to victimization and victimhood. And not only black Atlantic thought and experience, part of what makes Gilroy so interesting as a scholar is his keen attention to black Atlantic popular culture past and present — whether it be in the form of close readings of the Fisk Jubilee Singers, hip-hop or rap, and their artistic use of material drawn from a wide range of sources. What interests him here is, quite similarly to the case of black Atlantic intellectual thought, the analysis of the forms of expressions that transcend ready-made binaries relating to these expressive forms’ alleged racial authenticity. In the current heated debates about cultural appropriation, there is certainly rich analytical material to draw upon in Gilroy’s The Black Atlantic. Gilroy dedicates an entire chapter of The Black Atlantic to W.E.B. Du Bois. Du Bois hovers over Gilroy’s entire work as one its most central and recurrent signposts. And so it is unsurprising that Gilroy was in 2006 invited to deliver the prestigious W. E. B. Du Bois Lectures at Harvard University, later published as Darker Than Blue: On The Moral Economies of Black Atlantic Culture. There can be little doubt that Paul Gilroy is and remains one of the most important and incisive post-colonial intellectuals in our time. Twenty-five years on from the publication of the first edition of The Black Atlantic in 1993, we live in a world once more besotted by various inflections of old and dated ideas of ethnic or cultural purity, a resurgence of right-wing populism and its attendant and interlinked nationalism and racism. One of many lasting merits of Gilroy’s work is his anti-essentialism, his vernacular cosmopolitanism, and his attempts to think of “the flows, exchanges, and in-between elements that call the very desire to be centered into question.” In the dark times in which we happen to live, this is easier said than done for all of us. But that is no excuse for not heeding Gilroy’s resonant calls for trying to live up to the aspirations of what is ultimately a shared human heritage. * On 17 April this year Prof Paul Gilroy (1956—) returns to Norway for the first time in fifteen years for a series of public and academic events in Oslo and Bergen. Gilroy will appear at events at the Houses of Literature in Oslo and Bergen, and the universities of Oslo and Bergen from 17-20 April. 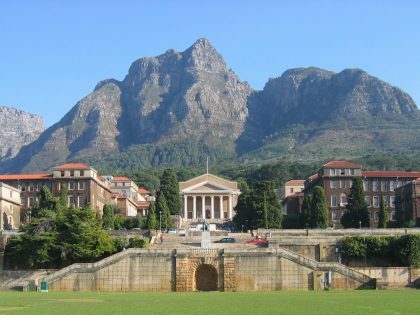 Recently Fanon’s life work has received quite some attention from the academic world.